Today I was inspired by the Mojo Monday sketch. 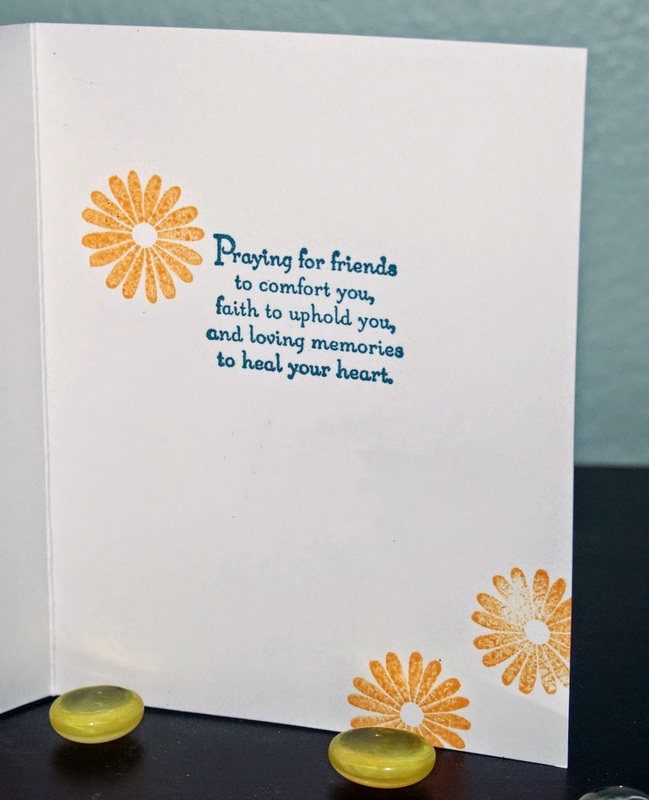 I needed a sympathy for a friend and the sketch got my juices flowing:) I started out with a gelli print of course and it was done on a piece of deli paper so I glued it down to a sheet of music for my background, then I ran it through the embossing folder to create the texture and pattern. 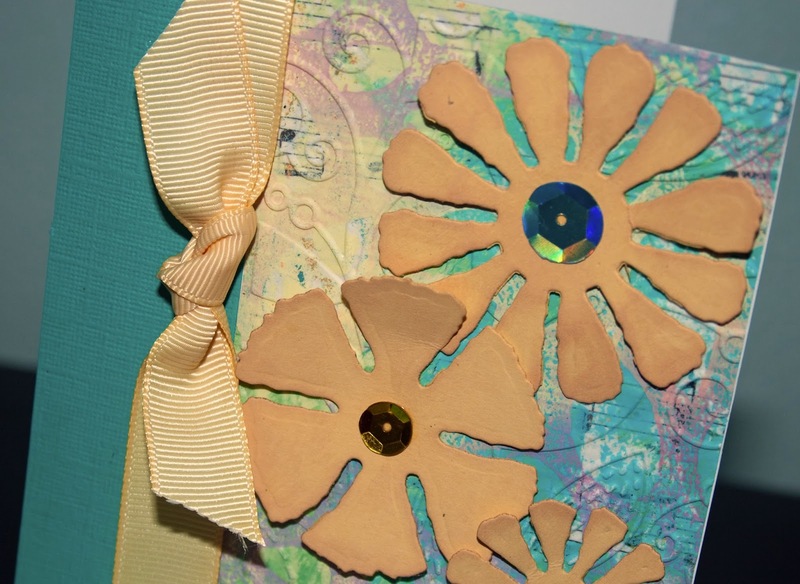 Here is a close up look at the music and texture in the background...love this luscious look! The flowers are the Carnation Spellbinders die and I used some Tattered Rose Distress ink on them to give them just a bit of color. Then the centers are with my new fav....sequins! 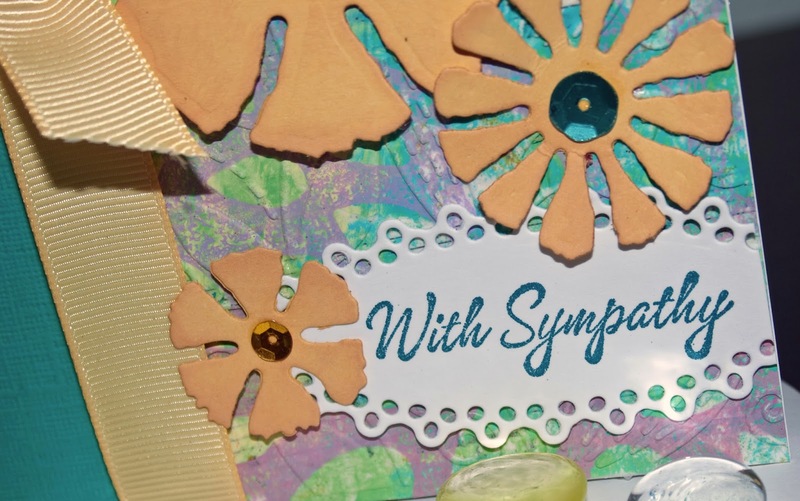 The sentiments are old Stampin' Up stamps and embossed with Mediterranean EP from Sparkle N Sprinkle. 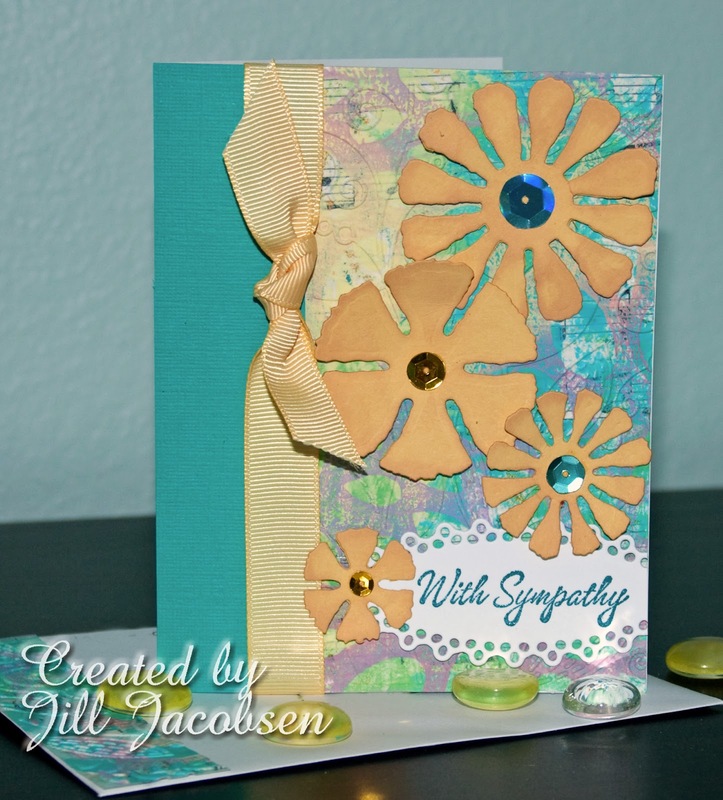 The inside daisy's are from my stamp set Bloomin' Birthday from Sparkle N Sprinkle using Memento Cantaloupe Ink.